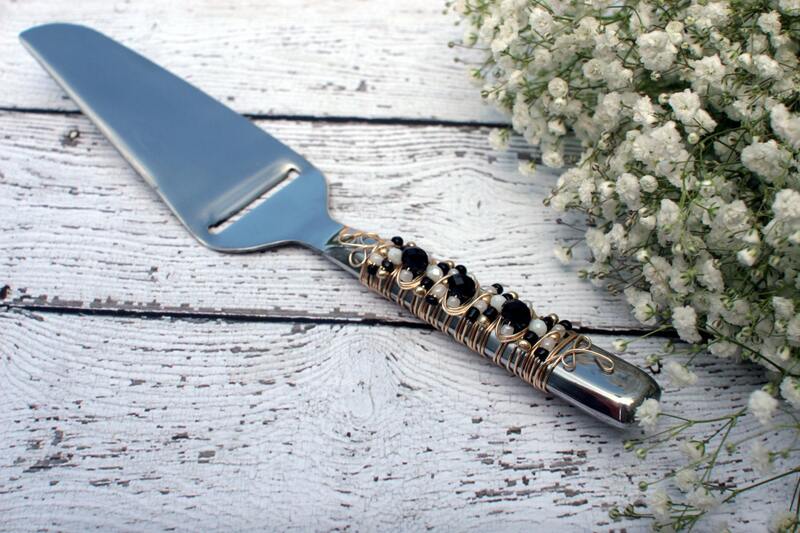 Inspired by Couture Style and Chic Designs, this beautiful black, white & gold cheese slicer is perfect for your special event! This is the best gift for that chic friend or for your glam party! This is a MADE TO ORDER ITEM. Bead placement will vary slightly. I use a non-tarnishing gold wire and a variety of black, white & gold beads. Cheese slicer is stainless steel and approx. 11" in length.